Central Asian dictators close down the space for domestic political opposition. But politics is still present, only it has moved offshore. Central Asia is home to some of the world’s most consolidated authoritarian regimes and poorly governed states. After more than two decades of independence, entrenched regimes and enduring patronage machines seem to have permanently short-circuited Central Asia’s post-Communist transitions to the democracy and functioning markets envisioned in the 1990s. Western policymakers seem increasingly fatigued with criticising the region’s stagnant regimes. Uzbekistan’s ailing President Karimov maintains an iron grip on power despite internecine strife within his family. 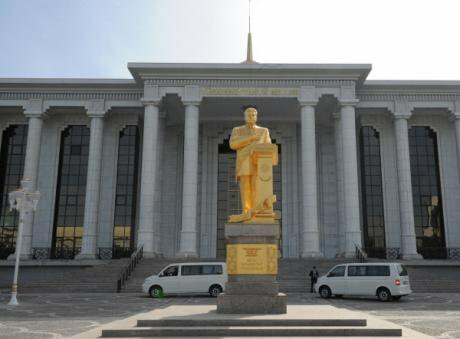 In Turkmenistan, hopes that the death of Turkmenbashi (Saparmurat Niyazov) in 2006, might lead to reform under his successor President Berdimuhammedov have been largely disappointed. Tajikistan’s remarkable recovery from brutal civil war in the 1990s has seen President Rahmon defeat all prospects for liberal reform, and suppress its latent conflicts under a consolidated patronage regime. Even semi-authoritarian Kazakhstan continues to close down its political and media space to prevent any challenges to President Nazarbayev, the incumbent since the Soviet period. Only in Kyrgyzstan’s tumultuous scene is domestic political contestation actually visible, though it too has coped with bouts of repressive rule and public uprisings. Year after year, the region fails to improve in any of the world’s high profile measures of democracy or corruption, while western policymakers seem increasingly fatigued with criticising the region’s stagnant regimes. A monument to the first president of Turkmenistan, Saparmurat Niyazov in front of the parliament building in Ashkhabad. This in turn posits the question: what if the depressing consistency of Central Asia’s poor domestic performance has distracted politicians, scholars and commentators from identifying the real places of power struggle that have emerged over the last two decades? In democratic systems, political opponents can enter and exit the political arena with relative ease. However, it is precisely the ruthless ‘winner takes all’ stakes of Central Asia’s authoritarian political contestation that forces political opponents who are not willing to defer to regime power – and who are not languishing in prison – to operate outside of the region. In short, all of the Central Asian governments have accumulated a trail of overseas-based, rivals, deposed challengers, and estranged political critics. If politics is not taking place onshore it moves offshore. If politics is not taking place onshore it moves offshore. This is an asymmetrical struggle that increasingly shapes foreign affairs across the region. As a new report from the Foreign Policy Centre demonstrates, Central Asian governments have deployed an array of sovereign rights as political instruments, including international litigation, diplomatic pressure and regional security treaties that facilitate politically motivated extraditions, renditions and overseas security service activities. In the financial realm, they have mobilised lawyers, accountants, consultants and company service providers of the west to hide their own wealth and freeze the financial assets of their opponents. Perversely, the very institutions – from the high court to company registration rules to Interpol arrest warrants – that were designed to protect the rule of law, are now being used as weapons in these new transnational offensives. Let us take three examples of dictators acting beyond borders. First, consider the current high profile battle between the Kazakh government and fugitive political opponent and businessman Mukhtar Ablyazov. 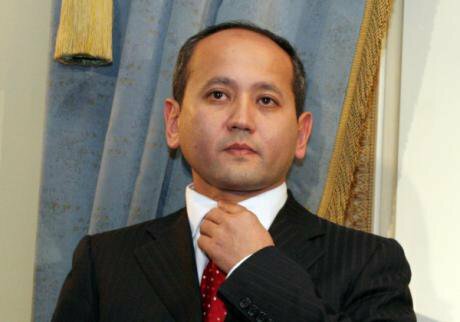 Ablyazov served as Kazakhstan’s Minister for Energy and Trade before co-founding an oppositional party. Soon after he was jailed and then pardoned, he became Chairman and main shareholder of BTA Bank. Following the onset of a massive banking scandal involving a web of offshore vehicles, BTA was nationalised and Ablyazov fled to London, where he was granted political asylum by the UK. Living abroad, he escalated his criticism of the regime, was visited by members of Kazakhstan’s political opposition, and was accused of financing opposition media outlets like the newspaper Respublika [charges denied by the newspaper’s editors and Ablyazov]. Meanwhile, Ablyazov is wanted in Kazakhstan, Russia and Ukraine on charges of embezzlement and fraud; and an English court in 2012 found him in contempt for failing to disclose his assets. Since then, Ablyazov’s family has managed to return to Italy, but his own fateis now in the hands of the French court system, following his arrest from his villa in Cannes, in July 2013. A number of his associates have been similarly detained across Europe as a result of Interpol red notices issued by Astana. Just a few days ago, the UK revoked Ablyazov’s asylum, thereby further restricting his international room for manoeuvre. The Tajikistan Aluminium Company (TALCO) produces around 60% of the country’s total exports. In the mid-2000s, the Tajik regime wrestled control of TALCO from its owners who had been in charge since the latter stages of the country’s civil war. The regime set up new offshoring arrangements in cooperation with Norway’s Hydro Aluminium, with the support of the European Bank for Reconstruction and Development. They established TALCO Management Limited (TML) in the British Virgin Islands – whose beneficial owners were hidden – and pursued litigation in the London High Court (2004-2008) against the former owners. Whether in London or Switzerland, the real political competition over Tajikistan’s most important asset took place abroad. This is an authoritarian asset grab that was enabled by offshore financial arrangements and confirmed in an out-of-court settlement arranged by London lawyers. A new judgment in Switzerland in 2013, in favour of TALCO’s former partner, United Company Rusal, saw the secrecy of TML and the legality of the TALCO takeover challenged. However, Tajikistan has thus far resisted attempts to open TML’s books to liquidators and reveal its beneficial ownership. Finally, consider the current international and domestic difficulties faced by Gulnara Karimova, President Karimov’s eldest daughter and former Ambassador to the UN, who a short time ago was considered one of the country’s most powerful figures and a possible candidate to succeed her father. Karimova now finds herself at the centre of major money laundering investigations in Sweden, Switzerland and France. A couple of years ago, a Swedish television news programme investigating the dealings of the telecommunications firm Teliasonera found that the company had paid hundreds of millions of dollars in licensing fees to various murky offshore companies with ties to Karimova’s political allies. The investigation has since been joined by US and Dutch prosecutors. Just last month Swiss prosecutors announced they were freezing 800 million Swiss francs ($910 million) in Uzbek artefacts, and expanding their money laundering investigation to include Karimova. Financially crippled by this series of overseas investigations, her political position at home appears to have weakened, with Uzbek authorities closing and seizing many of her flagship businesses. 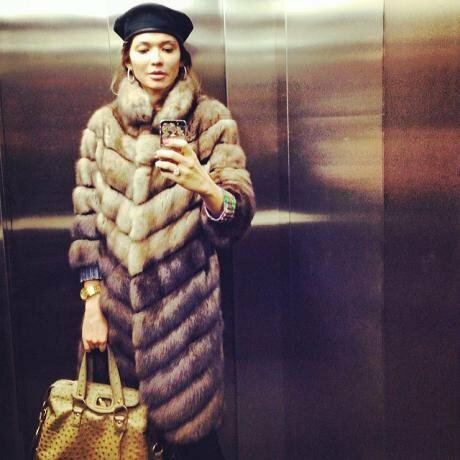 Gulnara Karimova, President Karimov’s eldest daughter is at the centre of major money laundering investigations. Photo: facebookRecently, the BBC printed a suspected letter from Karimova, describing herself now as living under house arrest in Tashkent. Karimova’s domestic detention has been facilitated, in large part, by international actions that have targeted her perceived overseas vulnerabilities. These brief examples are just a small sample of a more extensive picture that emerges when one looks at the offshore political and financial dealings of Central Asia’s elites. Such cases force us to confront the notion that both the region’s authoritarian polities and corrupt economies operate as much outside of the region as within. The region’s authoritarian polities and corrupt economies operate as much outside of the region as within. It is, therefore, not surprising that the common policy frameworks and tools developed by western donors and NGOs that address Central Asia’s democratic and governance challenges as if they are exclusively domestic matters remain largely ineffective. The western democracy promotion establishment has poured hundreds of millions into Central Asia since 1991 in the hope that Tajikistan’s voters, Kazakhstan’s civil society or Kyrgyzstan political parties might develop so as to hold repressive regimes to account. All this appears in vain as Central Asian states are more closed than ever. In response, major donors and foundations now recalibrate their goals away from targets of political reform, which cannot be reached. But maybe it wasn’t the political goal that was the problem but the political geography? No longer contained in their national systems, the politics of Central Asian authoritarian states is more and more taking place in the international institutions and offshore jurisdictions of the west. So, why not target those? Rather than spend millions attempting to improve the business environment for small and medium enterprises, better that DfID should put a bill before the UK Parliament to fully reveal all beneficial owners of companies registered in the UK and its offshore territories and crown dependencies. Rather than train lawyers to work in a corrupt legal system, they might better offer watchdogs the international legal expertise needed to understand the ways in which global law enforcement tools are used for criminal and political purposes. Above all, in planning for Central Asia’s looming political transitions, the question of what to do with ill-gotten assets abroad will become one of the most pressing, and potentially divisive, issues confronting a new regime and the ‘international community.’ Donors and diplomats would do well to establish a procedure in line with the World Bank and UNODC’s emerging stolen asset recovery initiative (StAR), when similar abuses are uncovered in Central Asia. What is now clear is that scholars and policymakers alike must rethink their assumptions about the terrain of political contestation and accountability involving Central Asia’s elites. The liberal west is not a bystander in Central Asia’s troubles, it plays host to dictators’ asset grabs and power plays. Just as Central Asia’s politics are increasingly enacted outside-in, perhaps western attempts to export democracy should actually begin at home?